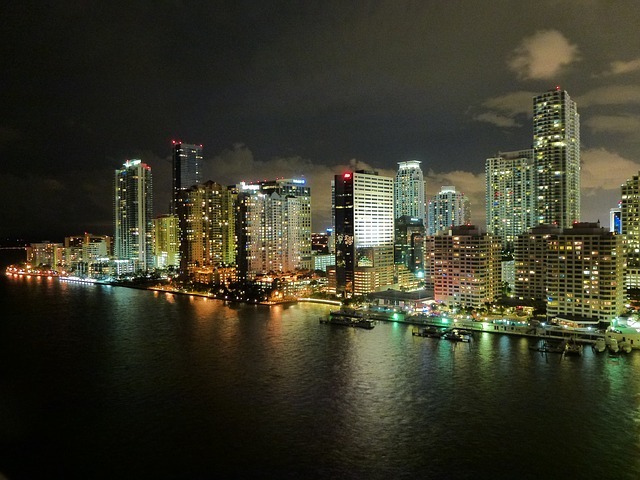 Miami has seen some significant changes over the past 50 years specifically relating to its real estate industry. Everyone can agree that it’s filled with culture and it’s continually reinvented itself. However, People working in real estate every day also say these elements are only part of what Shapes the Miami Landscape. They have highlighted five interesting topics that should be talked about more often. So today we’re going to look into these on a deeper level. Let’s see if you agree. Miami’s population is just below half a million people according to the 2016 census statistics. The city has steadily increased in size year-over-year. The city is also a popular destination for many vacationers who ultimately decide to purchase real estate making Miami their permanent home. Furthermore, Florida is sought-after because of the consistently warm temperatures affluent people tend to look for compared to other areas in the county. Bottomline, It’s a place people want to be a part of making the Miami real estate industry inherently robust. The number one change people say has influenced the Miami real estate market is technology. People involved in the industry did not have access to smartphones, tablets, mobile search and digital contracts. Every deal was in person with ink and paper involving a lot of personal Hustle. Ultimately, this meant a lot of back and forth with buyers but in person. Working deals with buyers face to face had both advantages and disadvantages. The significant drawback was the amount of inefficiency when you had to drive across town to share relevant information or get a document signed. The advantage was people were able to connect on a different level which appears to have vanished in today’s culture and Society. Several of the people who have been in the game for a long time say technology has made things even more difficult because of the loss of personal connection. However, I believe the pros of Technology have outweighed the cons. if you’re diligent, you can still go the extra mile and build relationships. It’s just different now. The second significant change anyone in real estate will attest to is Miami is filled with Condominiums absolutely everywhere. If you were to take a before and after photo of Miami Skyline from 50 years ago to now, it’s staggering. Initially, Condominiums were found primarily along the stretch of Collins Avenue near the beach. Even then it was called condo Canyon. These days you can see luxury condos in Coral Gables, Coconut Grove, Sunset Isles Beach and pretty well everywhere. The third most notable change that’s happened is buyers have access to the internet. Before the internet, buyers had to rely on primarily real estate agents for availability. Now buyers can go online and see what’s available and give a list to an agent or a real estate investor on what they’re looking to purchase. It significantly lowers the burdens put on the seller, but it also can create a lot more running around. A fourth change anyone in the real estate industry will attest to is the competition level has dramatically increased. Everybody and their brother is involved in real estate in one way or another. Real estate is the most substantial wealth-creating mechanism in North America. Therefore it would only make sense that it would be a primary consideration in the Miami area. Lastly, there have been many swings in the cultures that make up the population in the Miami. Politicians have played a large role in shaping the environment from one election cycle to the next. These viewpoints have remarkably changed the identity of the population. The overall count of the population has not changed radically but rather the demographic that make up the population. This consistent change in personality has only brought positive things to the area. The unique culture has attracted the attention of many Travelers. In the overall picture, it has brought an abundance of money into the city. To conclude, Miami has changed quite a bit in the last 50 years. There have been five significant elements affecting the real estate industry specifically. All of these elements have had a positive impact on Miami as a whole. The diversity and culture have attracted Travelers who spend an enormous amount of money Creating a real estate environment unlike any other.